So, in my drive to really try to learn and study and preserve the traditions of the vaqueros I have embraced the gear, methods, and training programs to the best of my ability. One of the things that I love about my involvement of Cowboy Dressage is that they embrace and encourage folks to ride within this tradition as well. I was very excited to be able to attend and show at the recent Final Gathering. 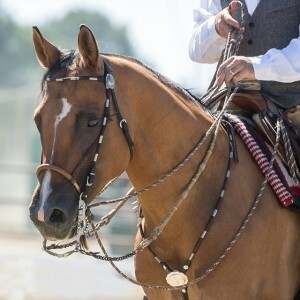 After looking over the entry classes available I decided that in order to show support of the Vaquero classes and hopefully build this division as well as interest in this tradition that I love I would ride only in the Vaquero classes and only bring my traditional gear along with me.